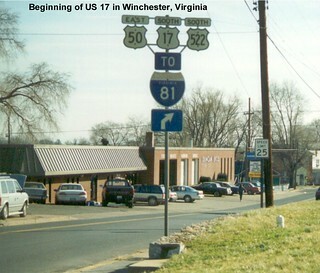 A picture of a US 17 sign from the 1970s is available on the Old Dominion Roads website. Information about previous alignments for US 17 in Virginia can be found on the Virginia Highways Project website. Photos and information about the replacement of the James River Bridge can be found on the Roads to the Future website.